Backpacks are so handy and useful when you travel. Carry your electronics, personal care items and/or clothing in them. You can keep them with you at all times on a bus, in a taxi, etc, all while keeping both hands free to do or carry other things. These carry on and travel backpacks are durable, stylish, and ready to go. There are unisex styles, as well as styles for men and women. Keep your important belongings close to you in your travel backpack. Choose your color, brand or style today. 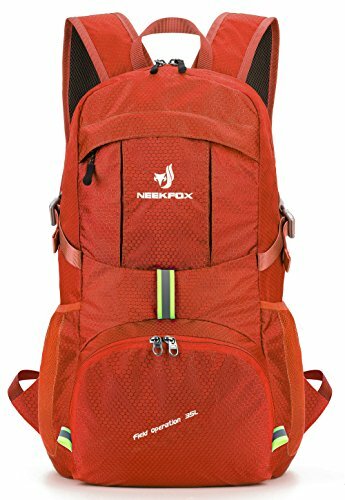 These backpacks can also be used when hiking, camping, bicycling, etc. Do what you want, and enjoy life to the fullest. 7.Bottom Zipped Access:The bottom zippered access which can easily access to the main compartment. Travel in style and with reassurance that your belongings will remain safe and close by you at all times. Backpacks are a great way to carry clothing and other essentials wherever you go. ​ They also allow you to keep your hands free to do other things. 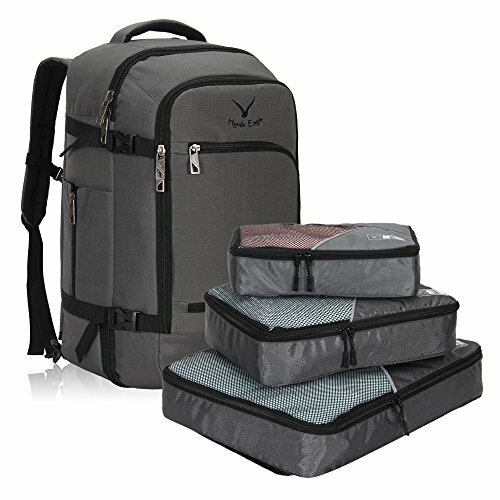 3 carrying options and 2 modes (1 backpack or 1 backpack with 3pcs packing cubes) for travelers' multiple alternatives, easy to grab and carry. 2 sturdy grab handles (top and side) for safe lifting from trunks and overhead compartments, and from beneath a seat. 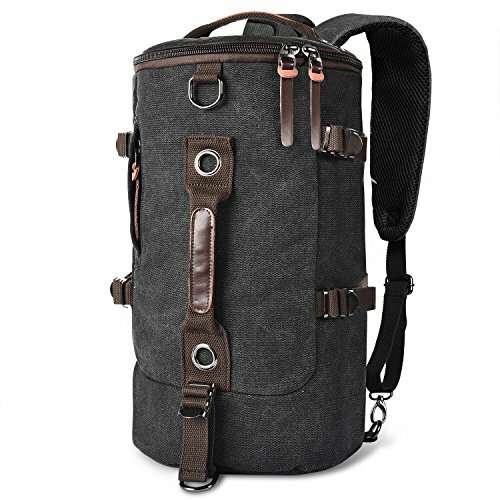 2 hide-away contoured shoulder straps are well padded with air mesh; you can carry it comfortably as a backpack or convert it into a suitcase. 4 exterior compression straps are carefully placed to provide maximum compression and reduced stress on the zippers. If you start your journey with a partially packed bag you can prevent the contents from sloshing around with compression straps. Middle compartment with padded laptop & tablet sleeve, designed for keep your devices at security. Zippered front pocket is perfect for boarding passes and will not “walk open” no matter how long your journey. Features interior slot pockets for travel essentials, from passport to power bank. 1 main compartment has a mesh divider that allows your clothes to breathe. It is roomy for all of you need for a 2-5 days trip, including 2-3 pants, 2 shirts, 1 sweater, 2 hoodies, 1 jacket, 4 T-shirts, 2-5 underpants, 2-5 socks, towel. On the other side is a zipper pockets for shirts, dress and any others need to be wrinkleless. 1 large front zipper compartment can be use to storage your slipper, file clip, water bottle, map, power supplier and so on. This additional space is made for your accessories which should be separated from your clothes. In addition, there are 3 pen slots, 1 wallet pouch, 1 mobile pouch, 1 notebook pouch,1 zipper mesh pockets for your odds and ends and your toiletry kit. 1 medium front zipper pocket on the surface, for your passport, ID card, notebook, documents, and the things need a quick access. 1 laptop compartment on the rear of the backpack, accommodate up to 15.6 inch laptop/tablet. Well padded foam provide great protect to your device from scratch and bump. Travel with a lightweight, flight approved backpack and keep your important electronics and other items with you at all time. 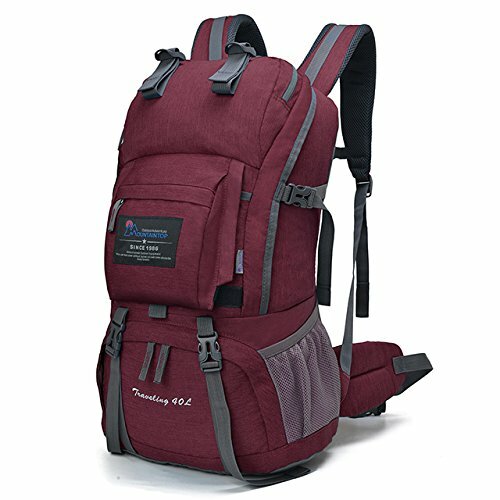 ​Backpacks make awesome travel companions, and today you have many colors, styles and sizes from which to choose, too. 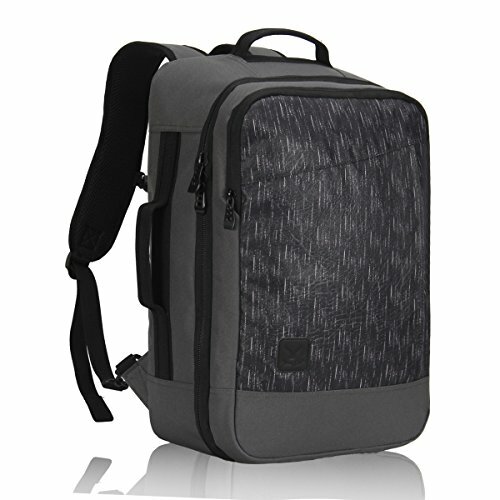 ​Pack all of your gear and then some in this extra-roomy, full featured laptop backpack. 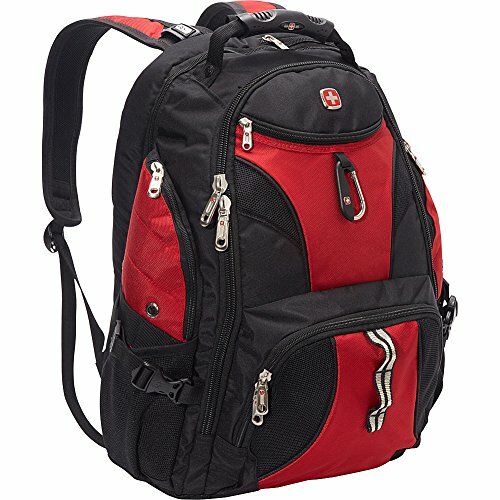 The Swissgear 1900 ScanSmart Laptop Backpack is made from durable 1200D ballistic polyester fabric and is equipped with a large opening main compartment with rugged oversize zippers, adjustable side compression straps, a heavily padded back panel with Airflow ventilation technology, padded contour shaped shoulder straps with mesh fabric and built-in suspension as well as ScanSmart lay-flat technology for the ultimate in laptop-in-case TSA scanning for most portable computers up to 17 inches in size. Computer pocket provides the most support for laptops protected by sleeves. Other features built into the case include a highly protective floating TabletSafe tablet pocket, an accordion file holder, an organizer compartment, multiple internal accessory pockets, side accessory and water bottle pockets, a padded media pocket with headphone cord port, a molded top handle, a webbing daisy chain and carabineer to attach gear to when you're on the go, a front quick-access pocket and reflective accent material built into the shoulder straps for added safety when out at night. Since the backpack is oversized, it fits adults and large children best. Even though these travel backpacks are made with men in mind, women can certainly use them, too. Choose from a variety of colors, sizes and styles, then travel to your heart's content. 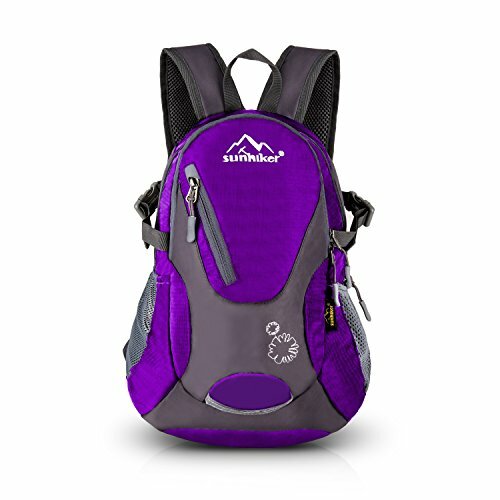 ​ Whether you travel for work, or you enjoy weekends in the great outdoors, a backpack is the perfect travel companion. 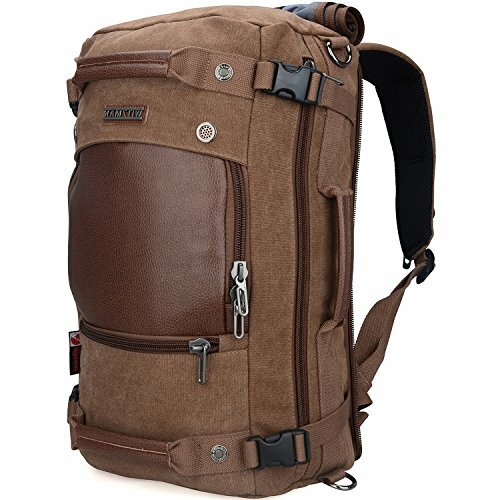 This lightweight backpack fetures a main compartment that has 35L space to hold your 13 inches laptop with plenty of room to spare. There’s a small concealed pocket in main compartment to fill with your wallet,ID cards or something valuable. Two front zipped pockets to hold small accessories and two side expansible mesh pockets to hold water bottle and umbrella. Multicompartments to keep things organized. Women will enjoy the style and ease of these travel backpacks. They are also great for students who have a lot of books and/or electronics to tote around on campus. ​ Backpacks are a great way to travel while allowing you to keep your hands free.